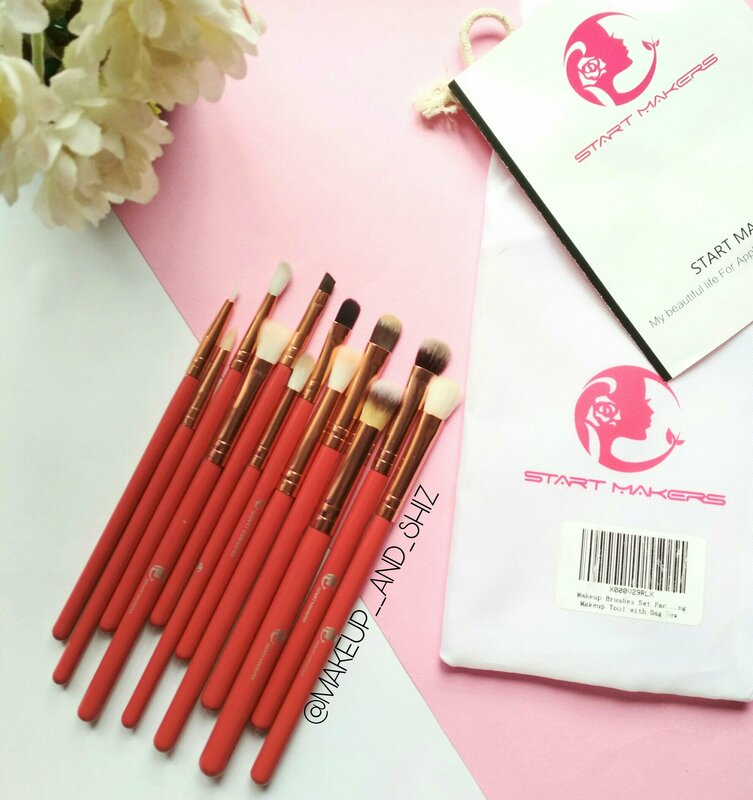 Start Maker Eyeshadow Brushes – Review. “With a good makeup brush , every woman can be a good artist.” If you are looking for affordable, beginner friendly eyeshadow brushes , You are at the right place. I’m talking about the start makers brushes. Rs 398/- ( But when you check out , you get -150 discount i.e Rs 248 ) at Amazon India. It comes in a white pouch , with a card , which has got all the necessary detail, which brush is for what. These 5 brushes are blending brushes. 5 blending brush are amazing. You can precisely blend in your crease area or random blending of eyeshadows. It blends the colour so nicely and these are so soft. These 3 are packing brush to apply or pack on colours on the lids . Also with the fluffy one you can apply your brow highlight. And the Last one is called blooming brush. I use it to set my under eye area or set my lid area after applying concealer ( for priming the lid area) . Does a good job. These brushes are really good. The bristles are soft . They don’t have fall out while washing. ( I have washes them more than 10 times now with regular soap ). They pack on colours so nicely. Blends colour easily. If you are a beginner and are looking for good eyeshadow brushes , Grab these. All kinds of brushes available for completing a eye look. Blending brush , the bristles are neither too small neither too big, perfect size. Eyeliner brush is really not useful. That is all for these post. If you happen to know any other good affordable brushes, comment down below. I would love to give it a try. Previous Jeva Activated Charcoal Face Pack With Argan oil – Review. Next FABEYA BioCare Natural Organic Coffee Gel – Review.